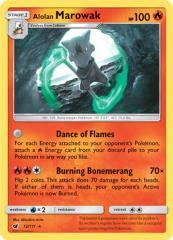 For each Energy attached to your opponent's Pokemon, attach a Fire Energy card from your discard pile to your Pokemon in any way you like. Flip 2 coins. This attack does 70 damage for each heads. If either of them is heads, your opponent's Active Pokemon is now Burned.